Like a proud parent, we here at Renewal by Andersen® of Greater Philadelphia take pictures of each and every one of our projects. We look back at them proudly, seeing the progress we make and the neighborhoods to which we’ve added beauty and value. 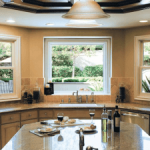 Look through this gallery to see for yourself why Renewal by Andersen® of Greater Philadelphia is the smart choice for doors and windows in Philadelphia, Chester, Havertown, Ardmore, and Camden NJ. Call us today at 610-563-2190 to request your FREE, no obligation consultation and start on the path towards a more affordable, comfortable, visually stunning home.